Starting at just $25,900 MSRP, the 2018 Kia Sorento come equipped with a full lineup of standard and available technology features—from smartphone app integration to advanced telematics via the latest UVO App. Find out more about the 2018 Kia Sorento technology features here, and then check out the current offers and incentives available near Carson, CA right now! The UVO eServices app allow you to sync up your iPhone with the Kia Sorento so that you can run a vehicle health report, check for maintenance updates, and call for 24-hour roadside assistance right from your phone. The Kia Sorento comes standard with Apple CarPlay™ and Android Auto™, allowing you to enjoy quick and easy access to your favorite smartphone apps directly from the vehicle’s standard 7-inch touchscreen. Enjoy access to outstanding sound quality thanks to the available Clari-Fi™ audio technology and Infinity® Surround Audio System with subwoofer and amplifier. With the help of four exterior cameras, the SVM allows you to see in all directions around the vehicle, all from the comfort of the cockpit. Interested in taking a closer look at the fun and well-connected cabin of the 2018 Kia Sorento? 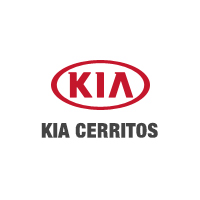 You’ll find it near Los Angeles right now at Kia of Cerritos, where we offer competitive prices for trade-ins. Our dealership is open seven days a week from 8:30 a.m. to 10:00 p.m. at 18201 Studebaker Road in Cerritos, CA. You can apply to finance a new Kia Sorento from us right now, so take the trip from Carson to our dealership for a test drive today!